Millions of reproductive age women and children between age one to five are said to be at risk of maternal death in Nigeria should partners like Nigerian Urban Reproductive Health Initiative (NURHI), United Nations Children Funds (UNICEF) and others withdrew their humanitarian services from the country. This is simply because the country is not making heavy investments towards sustainability of the programmes. 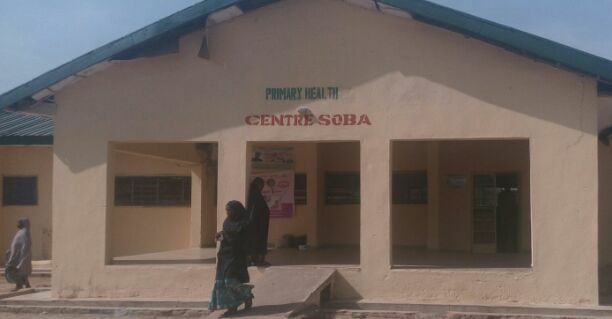 Following the 72 hours facility make over at three Primary Healthcare Centres (PHC) in Soba Local Government area of Kaduna State, Northwest Nigeria by NURHI, the Chairman, Interim Management Committee of the Council, Shuaibu Ahmed has said there will be multiple problem should partners withdrew their intervention as regarding reproductive health with particular reference to child spacing. Soba, which is about 115 kilometer away from Kaduna, the State Capital, has majority of its Fulani-Hausa speaking populace making their earnings from subsistence farming and business, while few others are civil servants. Now, the information gathered from the locals who were on ground when this correspondent went on health facility tour revealed that, though there are both private and public hospitals at various locations, only few of them are accessing the facilities when the need arises, while several others prefer local herbalists and midwives to take delivery during childbirth. The contraceptive awareness was poor. That was the situation on ground before the NURHI, other foreign donors and non-governmental organizations started awareness campaign on child birth spacing, for healthier mother, children and family at large. The 72 hour facility make over according to Social Mobiliser attached to the local government, Mallam Shittu is the initiative of NURHI where they locate targeted facility and carry out the intervention within 72 hours between Friday and Sunday when there would be less activities going on at such facility. He added that his major responsibility is to go into the communities and tell people about the programme, its purpose and the need for them to take advantage of the intervention which he quickly added, has contributed immensely for the turnout now at PHCs. In-Charge and FP provider at PHC Yakassai, Mustapha Sambo said there has been increment in the number of reproductive age women coming to the facility to access the service shortly after the 72 hours facility make-over intervention by NURHI. According to him, the outreach programmes by the intervention team has helped more women to be coming to the facility usually with referral cards, “those ones will come and they will go back to tell more people about their experience. In fact, I did inplant for someone today. “We don’t have any challenge as regarding FP here. But the NURHI intervention has improved the number of women coming for the commodity. We have everything free including consumables. We do get these consumables from local government through Rural Reproductive Officer (RRO) so, we don’t charge anything”, he stated. Available data at Yakassai PHC showed that in July, there were 25 new clients, 28 in August, 47 in September, 38 in October and 102 in November. The revisit clients data for July is 16, August, 7, September 10, October 31 and November 22. This means 124 clients visited the facility in November 2016 after commissioning of the 72-hour facility makeover by IMC Chairman for the lg. His counterpart at PHC, Richifa, Aminu Dalhatu, described the 72 hour facility make-over as timely and plus, not only to people at Richifa, but to the whole of Kaduna State, as it has already started creating ripple few weeks after. He said, “People in this environment are very happy for NURHI coming around to create more awareness and sensitization concerning child spacing as well as donating facilities to enhance our health. We have different types of commodity; injection, inplant, both male and female condoms among others. “Before they came, we have monthly records of between 20-30. But after the three days intervention, it has increased up to 100. I think the intervention is a wake up call to other sectors of our economy as a country because it works. However, In-Charge at Soba PHC, Abubakar Aliyu said the facility still charge ten naira for syringe when they run out of free ones provided by the lg. Talking about the 72 hours facility make over he said, his observation and other two service provider has shown that after the intervention, the additional commodity that was brought by NURHI has increase the turnout of desiring women unlike before when just few of them were showing interest due to limited availability of the commodity. “We are three in this facility. We don’t talk to our clients or show any mannerism that can scare them away. What we have observed is that before now, we hardly get ten new clients but after the 72 hours intervention, we are getting up to 53 per month. To us here, this is credible. ”As regarding the consumables, the lg is the one supplying us and that make the whole thing free. But when we don’t have them like syringe, we ask them to pay ten naira while they buy gloves themselves. “But the main thing here are the child spacing commodity. And it is expensive. So, if foreign donors should withdraw the aid, I’m afraid it will create worst problem because people may resolve to trial and error and you know what that means in health sector. So, they should not do that now except when they have understanding with Nigerian government that it will take up from where they will stop. Anything less will multiply the problem”, he said. As at the time of the visit to the lg Secretariat, Soba, Directors, Primary Health Care, Administration and and finance were not on ground to discuss whether there is provision for budget line for FP in 2017 for the lg as they were on official assignment outside the lg. But the Chairman, Interim Management Committee, Soba local government, Shuaibu Ahmed said, there was no specific amount for FP but was optimistic that the State budge will take care of that. “As regarding the budget line for consumable in my local government, well, I will answer you this way. The lg is already contributing to the programme through the availability of health staff and PHC structured on ground which are what NURHI is working on. We have 11 wards but they only captured three of these wards. In due course, the lg will come in to extend it to other eight wards to make it available to every family without distance barrier. “If the FP partners should withdrew their services, there will be problem more than what it was before they started the intervention, already there is laudable improvement after the intervention. It will look like setting the ball rolling and then ask the players to leave the pit. “I’m aware of NURHI and its interventions particularly on my local government here. I commissioned three of their projects here in Soba local government. I was shocked when I saw what they are doing in Kaduna. They have touched Soba, Richifa and Yakassai PHCs. Like I said, I have commissioned the projects in one day, I have gone there and saw things for myself. “In fact, I was impressed. The intervention worth millions of naira. On our part, we have been sensitizing our people on child spacing and that the service is readily available at no cost. They are already going there to access the service. This NURHI is really helping in my capacity as chairman of the local government. “If they should quit intervention like this one, that means the problems will continue. Though there is awareness now, but then the problem will now be multiplied. This is because even when the women know or are aware about the child spacing, how will they then get the commodity to get that done? ”Now, the child or pregnancy spacing campaign is a good one. It will help to provide viable generation. For instance, a baby will be able to appreciate breast milk thoroughly. It will also have good effect on the younger ones. It will promote general health and improve the economy of the family. That is, the family that space its children will have improved economy. Besides, even religion made provision for child spacing”, he stressed. With the testimonies of key stakeholders as regarding the effect of NURHI’s 72 hour facility makeover in the local government been reviewed, more of such interventions are necessary across the country, while government at all levels should be ready to fill in the gap in case the foreign donors withdrew their aid to the country. The time to act is now.